Even if your apartment is in a brand new building, there are potential pitfalls to watch out for. 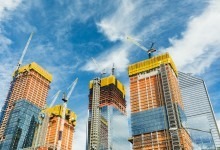 With so many new residential buildings under construction in NYC—and thousands of apartments slated to flood the market this year—you might be considering renting in one of those brand-new buildings. Maybe you’ve already even admired the view from the rooftop deck, inspected the amenities and surrounding neighborhood, and are now dreaming of décor. Before you start measuring—or fork over the hefty check that will make that apartment yours—here are a few questions you’ll want to ask about renting in a new development. Editor's Note: This article previously ran in October 2013. It has been updated with new information for March 2019. 1. What’s the developer’s history? 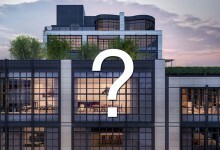 If you’re interested in moving into a brand-new building, you will want to do some research on its developer to see other projects they’ve done in the city—and whether they opened on time or had a history of delays, issues, or complaints, suggests Louis Adler, principal and co-founder of Real New York. You can Google the developer to see if there are any news stories or online forums about them or their properties, but, as with any online review good or bad, you’ll want to take any comments with a grain of salt, warns Phil Lang of real estate brokerage (and Brick Underground partner) Triplemint. “People writing online are always going to be complainers, but if someone has a friend that lives in one of their buildings, that’s a different story,” he says, so it might be worth asking around to get some real insider intel. 2. Is the building rent-stabilized? Many developers get tax abatements for offering rent-stabilized apartments in new developments. This means that the city sets the initial rents at market rate, and they are raised each year by a city-allowed percentage (currently 1.5 percent on a one-year lease or 2.5 percent on two years). You won't get a bargain when you first move in, but you likely will if you stay a number of years, as market-rate rents outpace state-regulated increases. 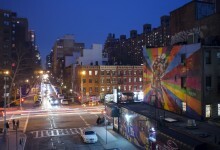 Be aware that even in a rent stabilized building, the rent could go up more than the allowed percentage. Sometimes the state-mandated market rate, called the "legal rent," is higher than what the landlord thinks he or she can actually get. When this is the case, the landlord might charge a lower “preferential” rate in a soft market. If the market revives the following year, the landlord could jump back up to the legal rent (plus the state-allowed increase). Another big advantage of living in a rent-stabilized building: You generally have an automatic right to renew your lease every year. 3. Does the rent include amenities? 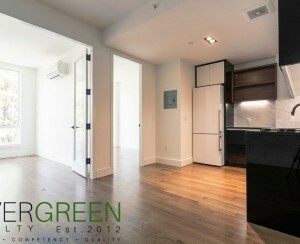 Most newly built residential buildings have a wide array of amenities to entice renters. These can range from the more common fitness centers, roof decks, and pools to bowling alleys, pet-care facilities, and full-blown spas. Accessing some (or all) of these extras might not be included in your rent, so you should ask what the fees to use them are. Amenities fees can run from $200 to $600 annually in most buildings, but there are some that charge $100 per month for the privilege, Adler says. Some landlords may throw in limited access as part of a rental concession, and if that’s the case, be mindful of its expiration date. 4. Can I really afford this apartment? Most landlords require your annual salary to be at least 40 times your monthly rent. If it isn’t, you’ll need a guarantor who will be legally responsible to pay if you default on your rent. They’re typically a parent or relative who makes at least 80 times the monthly rent. If your relative does not qualify, is retired, or not in the tri-state area (a common geographical requirement), Insurent Lease Guaranty, a Brick Underground sponsor, can serve as guarantor if you make its required 27.5 times the monthly rent, says Charles Schoenau, managing director. Depending on your qualifications, the company’s fee runs between 60 to 110 percent of your month’s rent, he adds. If you don’t meet Insurent’s requirement, a relative or another responsible party can act as guarantor if they make 50 times your monthly rent, or have 80 times it in their bank, savings, or stock market accounts if they’re retired, Schoenau says. 5. Will my apartment be ready in time for me to move in? Some developers begin renting out buildings well before construction is complete and will include a rider with the lease stating that they can delay the move-in by a certain amount of time. So make sure to ask whether your move-in date is guaranteed. “You might be enamored with the building, but if you’re on a very strict deadline you need to look elsewhere,” says Gary Malin, president of real estate brokerage Citi Habitats. Another helpful thing to know is when the developer expects the building’s temporary certificate of occupancy. The TCO is issued by the city’s Department of Buildings when some units are finished and found safe for occupancy as work continues. It is typically issued for 90 days and must be renewed for legal occupancy to continue—but there are no limits on how many times it can be renewed as work continues. To that end, “you’ll want to ask what the plan is if the TCO is delayed, as can happen quite often in a new development,” Adler says. It’s crucial to know if you were to be among the first tenants to move in once the TCO was issued since such a delay can put you in a bind—especially if you plan to vacate your old apartment the same day as your projected move-in date. If that’s pushed back, you’ll need to find a hotel, reschedule your movers, and store your furniture until the DOB gives the all-clear. 6. Will the building still be a construction zone, and will amenities be ready when I move in? 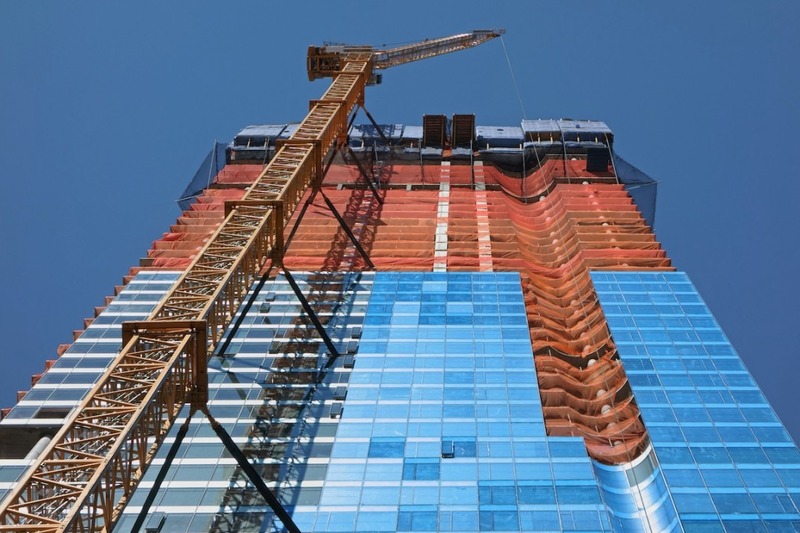 Even if your apartment is ready on time, you may still be living in a construction zone during your first few months as other units or amenity and common spaces are completed. To compensate for this, developers will often give a discount on your rent, pay your broker fee, or give you some other type of concession to make up for it, says Malin. Be sure to ask, though, as “it’s a good step in negotiation to see what they’re willing to commit to you to live there,” Adler says. You may also want to think twice about moving into a not-quite-finished building if you're around a lot during the day, when noise and disruption is likely to be heaviest. Lang suggests finding out if there’s any work remaining in other units on your floor—as well as the ones above and below you. 7. Can I put up a temporary wall? 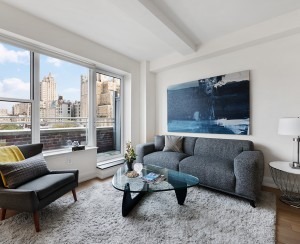 With the median rent in Manhattan currently $3,425 according to the latest Elliman Report, you may be thinking of putting up a temporary wall to turn a one bedroom into two (or a two bedroom into three) so you can split the rent with roommates. But due to concerns over fire safety and extra wear and tear from additional tenants, many NYC buildings no longer allow temporary walls. A more acceptable alternative is to divide a room with bookshelf walls, which stop below the ceiling and can be customized with doors, bookshelves, and even closets on either side. New buildings aren't any more likely than older buildings to allow temporary walls, so it's important to ask a property manager/management company before you move in, if a wall is essential to you.